Plan: Riverdale by J.S. Hovnanian & Sons, Inc. 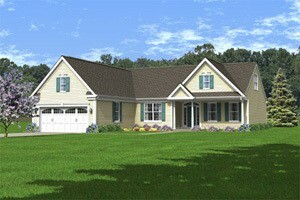 WINNER "Best Active Adult Home in DE, 2011!" 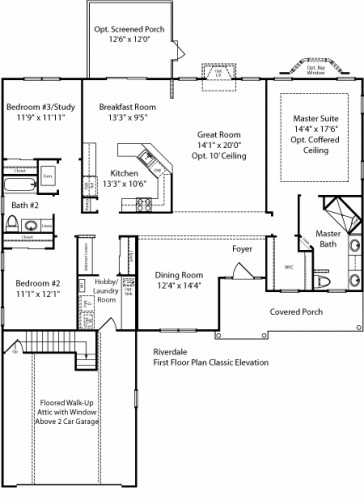 3 Bedrooms, 2 Baths, 2 Car Garage, Covered Porch, Master Suite with Walk-In Closet, Great Room, Internet Center, Hobby/Laundry Room, Kitchen with Pantry Cabinet and Breakfast Room. 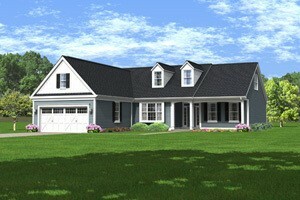 All elevations are available at the same price.